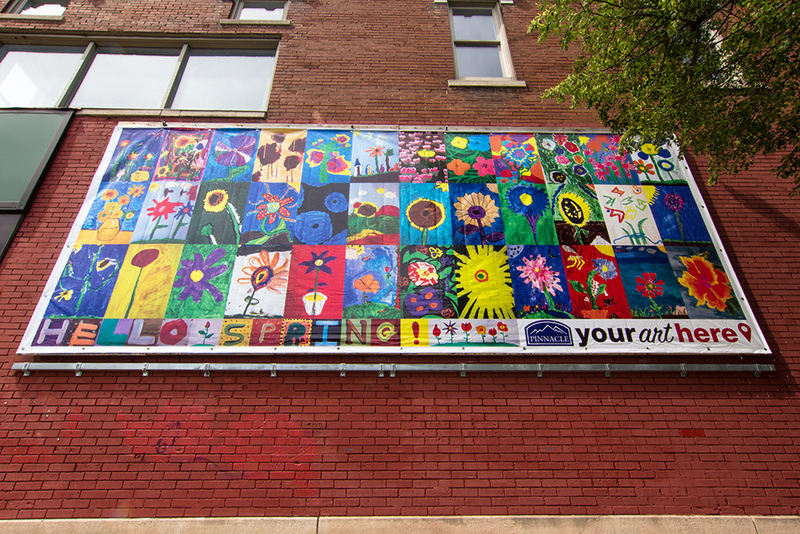 Since 2002, Your Art Here (YAH) has founded three community-run-artist-billboards in Bloomington and Indianapolis, and has exhibited over 50 art billboards on YAH billboards and on commercial for-rent billboards. 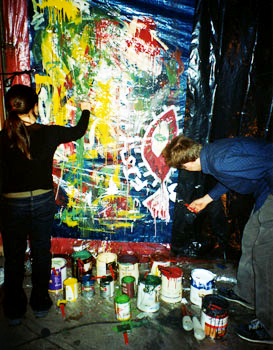 In 2006, Your Art Here displayed art on city buses for the first time. Your Art Here is an Indiana-based non-profit public art organization created to provide local communities with an opportunity to engage in visual, public dialogue through the use of billboards and other public spaces. Our mission is to extend visual expression beyond traditional museum and gallery spaces in order to create a public venue where art and ideas can be expressed freely. Your Art Here board members include: Owen Mundy (Chair) and Sophia Travis (Treasurer). Previous coordinators include: Mia Beach (2016-Present), Leslie Sharpe (2005–10), Michelle Dalmau (2005–09), Julie Hardesty (2005–09) and Brad Wicklund (2006–11), Tamara Lopez (2005), Shana Berger (2002–05), Alyssa Hill (2002–05), Owen Mundy (2002–05) and Nathan Purath (2002–05). Tom Battista and Downtown 101, LLC for providing community art billboard spaces! Learn more about public art and public art initiatives. Also see our Frequently Asked Questions (FAQ) for more info. Participants in the Exquisite Corpse Billboard Public performance of an exquisite corpse billboard where viewers were asked to become the artists.